Apparently Dr. Wong is very well qualified plus many people are recommending Dr Wong Specialist Clinic in Tangkak for allergy as well as many are blogging about him. but when I consulted him regarding my eczema problems, he used a very unconventional method of determining what I am allergic to. He got my left hand to hold a test tube of liquid of unknown content and asked me to raise my right hand. He than pushed my my right hand downward. If my right hand did not get pushed down, I am not allergic to certain food, probably what is inside the test tube. If my right hand get pushed downward, according to Dr Wong, I am allergic. There are many such test tubes on his table and finally Dr Wong told me I am allergic to yeast and dandraff. 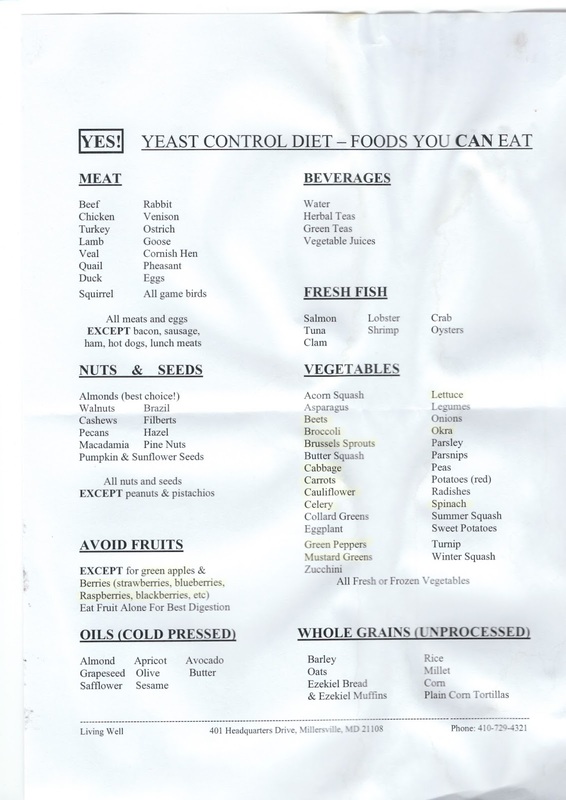 I was a bit skeptical but then as far as possible kept a yeast control diet. The dermatologist in PPUM (Pusat Perubatan Universiti Malaya or popularly called University Hospital told me my eczema problem is not due to food. However it is hard to tell whether Dr Wong regime made me better as I had been diligently applying aqueous cream and occasionally betamethasone cream and not the cream given by Dr. Wong. However, my classmate sis-in-law was diagnosed with the same yeast control diet given by Dr Wong and she reported her itch no more. But she missed her favorite food - roti canai or Indian Muslim flat bread which contain yeast. Judgement up to you. That is our experience. 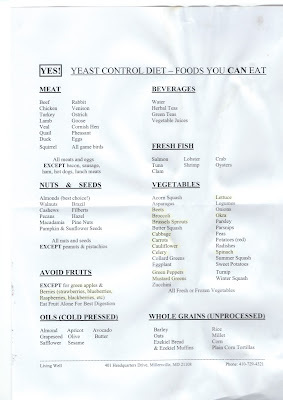 Source: Living well: Yeast control diet.